Then I start to put on my thinking cap, and listed a few. 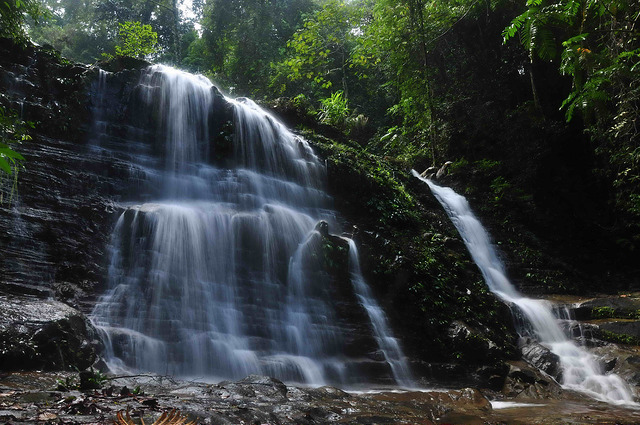 Among that I chose these three as the top, and I hope that this can serve as a guideline for you when you visit Kuching, and would like to visit the waterfall. 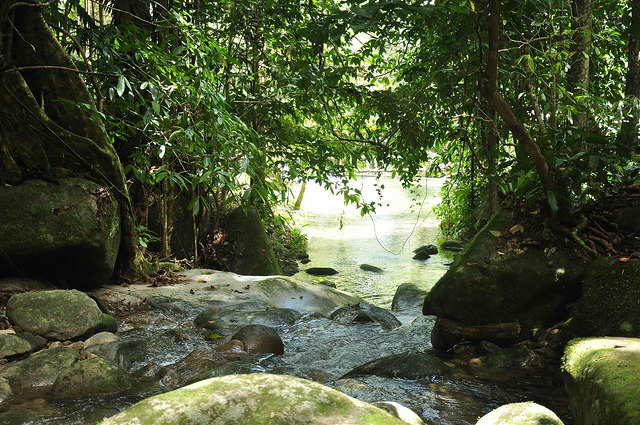 Santubong is located on the North of the Kuching city, with just 35KM away from town. 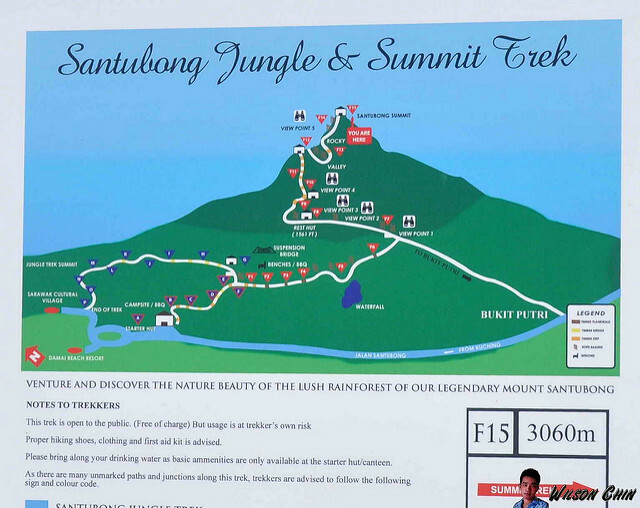 A 45 minutes car ride to reach the Santubong Mountain. 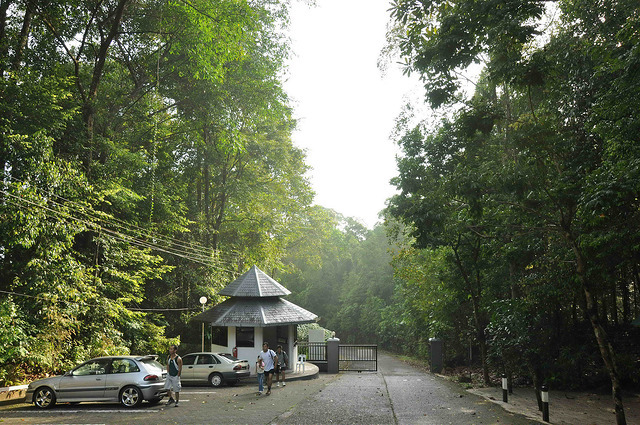 The entrance is before the Santubong resort, and on the right there will be a power station, the entrance is just next to the power station. 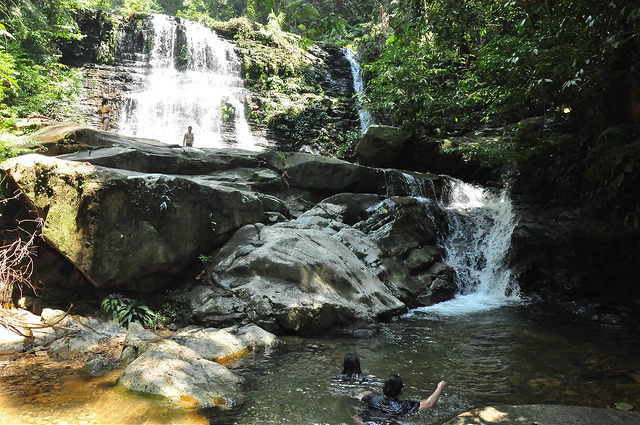 Do a registration at the Park HQ counter for safely purpose, and you may proceed to start hike to the waterfall. As shown in my picture, the waterfall is located next to the S shape suspension bridge, and from the park HQ to the waterfall only takes about 15 minutes. 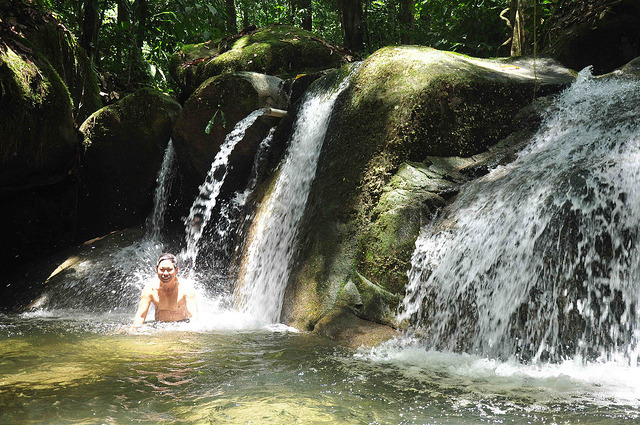 Do enjoy the cozy water when your there, very refreshing. Free of charge, only require you to register your time in, and time out. What do they have there? 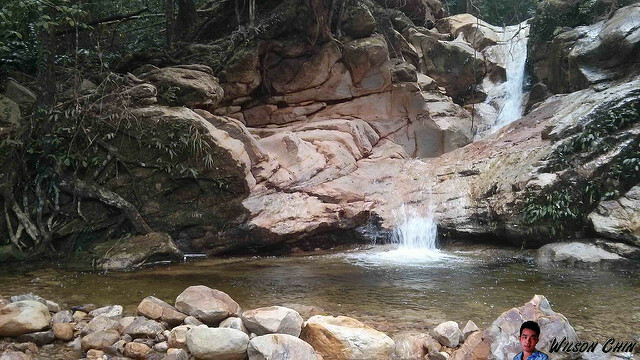 At the waterfall, there are no toilet, no bathroom. 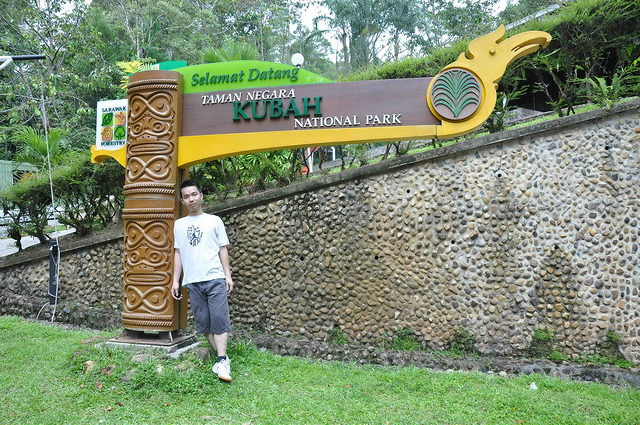 Situated about 22KM from Kuching, and about half an hours plus of car ride to the park. Drive all the way to the Matang, there are signboard along the way. 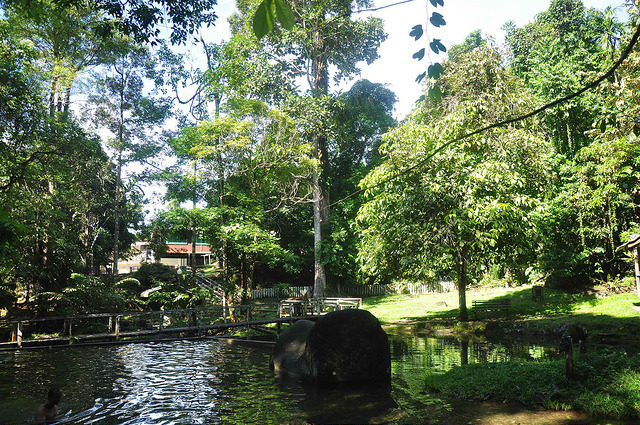 And after the Matang, you will see places like the Red Bridge, the Family Park I, and follow by Family Park II. Right after family park 2, immediately there is an entrance on the left. 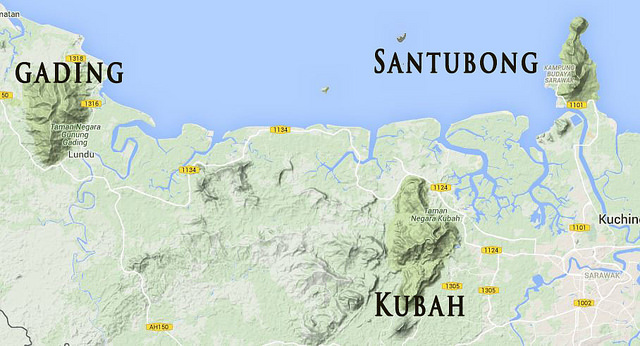 Drive all the way up, and you can see the Park HQ for the Kubah National Park. 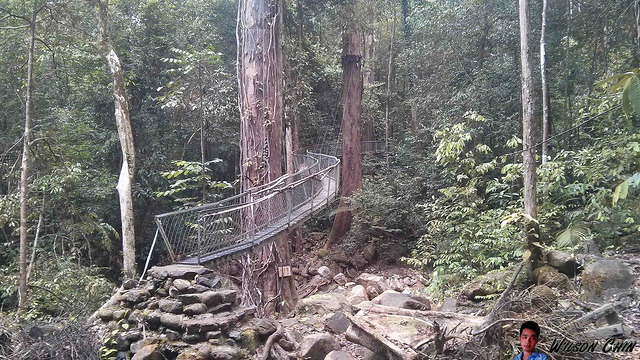 You will need to hike from the park HQ to the waterfall entrance on your right. 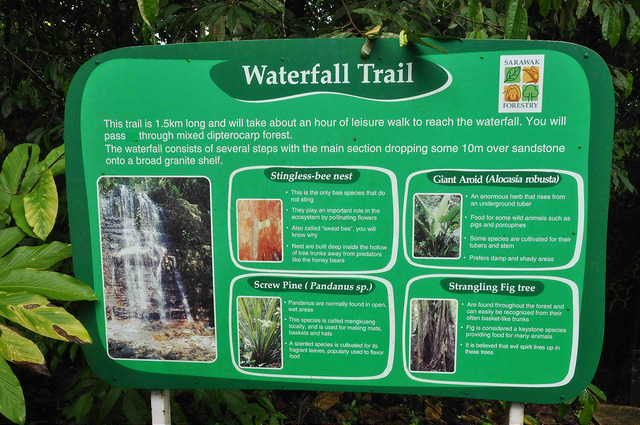 It takes about 30 minutes to reach the waterfall entrance, you will see a signboard displayed some info about the waterfall. 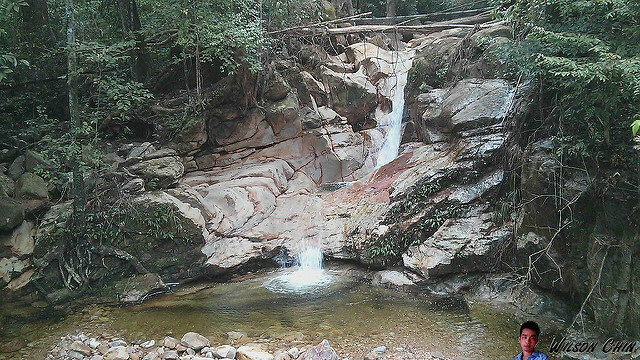 Then followed by another 20 minutes to reach the waterfall. Adults is RM10, and require you to go registration at the park HQ counter. About 1.5 hours drive from Kuching to the small town of Lundu. There are signboard along the way, so you will never get lost. After you reach the Lundu town, keep on driving to the right side. Drive strait along the way you will notice the sea is at your right. 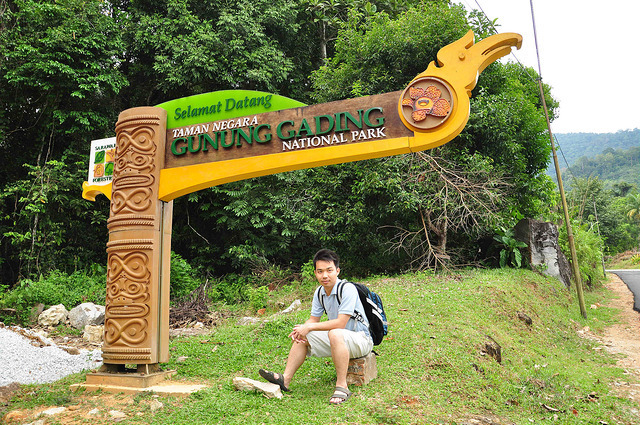 And keep your eyes on the left, cause the entrance of the Gunung Gading national park will be on the left. After you see the entrance, just drive in. And after the narrow road, you will reach the entrance. Register your name at the park HQ counter, and the park ranger will issue you a map, the waterfall trails are clearly being marked by red & white color, just follow the correct color code, and you will reach there within an hour time. The Entrance fees is RM10 per adults. No bathroom, no toilet, no BBQ pit.